Jeddah, Saudi Arabia, near the Red Sea. 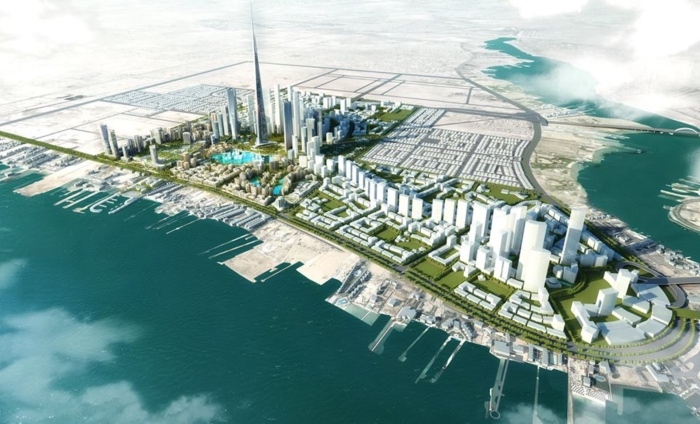 Expected to cost $ 1.2billion to construct, Jeddah Tower will be a mixed-use building featuring a luxury hotel, office space, serviced apartments, luxury condominiums and the world’s highest observatory. Jeddah Tower‘s height will be at least 173 meters (568 feet) taller than Burj Khalifa, which was designed by Adrian Smith while at Skidmore, Owings & Merrill. 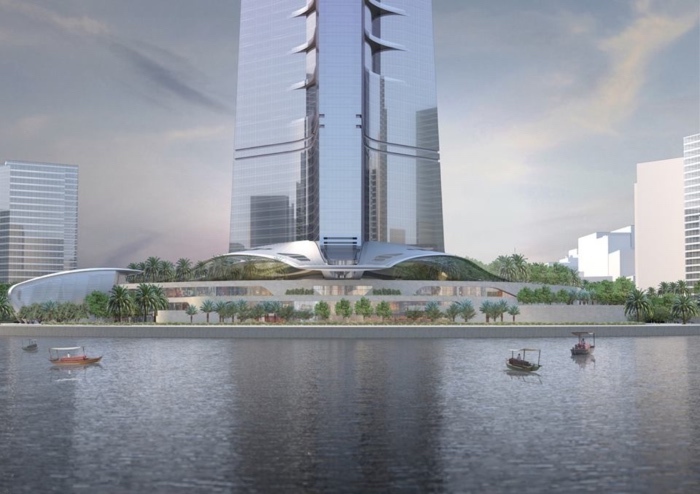 AS+GG‘s design for Jeddah Tower is both highly technological and distinctly organic. 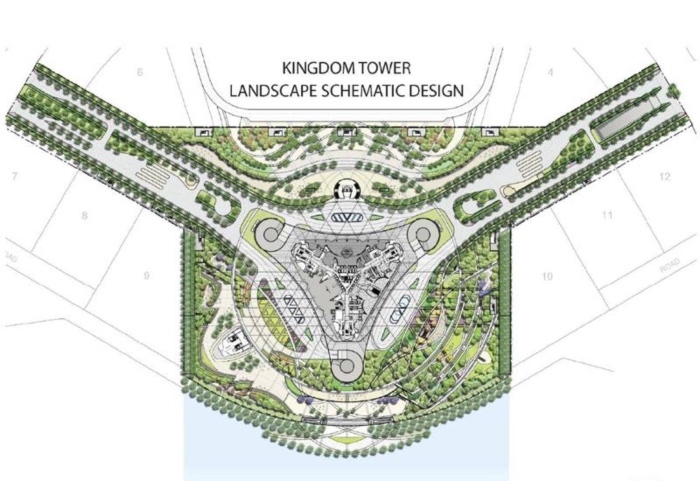 With its slender, subtly asymmetrical massing, the tower evokes a bundle of leaves shooting up from the ground – a burst of new life that heralds more growth all around it. This symbolizes the tower as a catalyst for increased development around it. The sleek, streamlined form of the tower can be interpreted as a reference to the folded fronds of young desert plant growth. The way the fronds sprout upward from the ground as a single form, then start separating from each other at the top, is an analogy of new growth fused with technology. 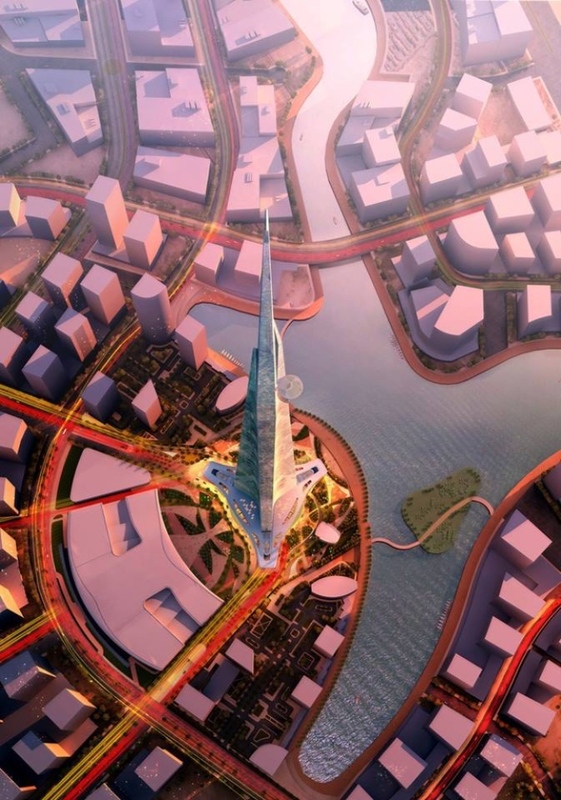 While the design is contextual to Saudi Arabia, it also represents an evolution and a refinement of an architectural continuum of skyscraper design. The three-petal footprint is ideal for residential units, and the tapering wings produce an aerodynamic shape that helps reduce structural loading due to wind vortex shedding. Jeddah Tower‘s design embraces its architectural pedigree, taking full advantage of the proven design strategies and technological strategies of its lineage, refining and advancing them to achieve new heights. The result is an elegant, cost-efficient and highly constructible design that is at once grounded in built tradition and aggressively forward-looking, taking advantage of new and innovative thinking about technology, building materials, life-cycle considerations and energy conservation. For example, the project will feature a high-performance exterior wall system that will minimize energy consumption by reducing thermal loads. In addition, each of Jeddah Tower‘s three sides features a series of notches that create pockets of shadow that shield areas of the building from the sun and provide outdoor terraces with stunning views of Jeddah and the Red Sea. 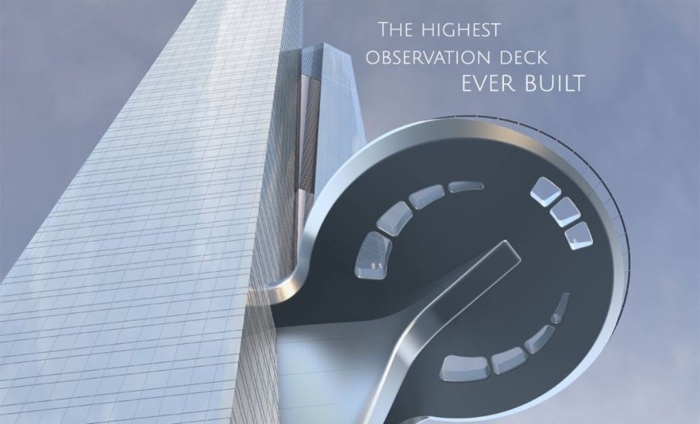 The great height of Jeddah Tower necessitates one of the world’s most sophisticated elevator systems. 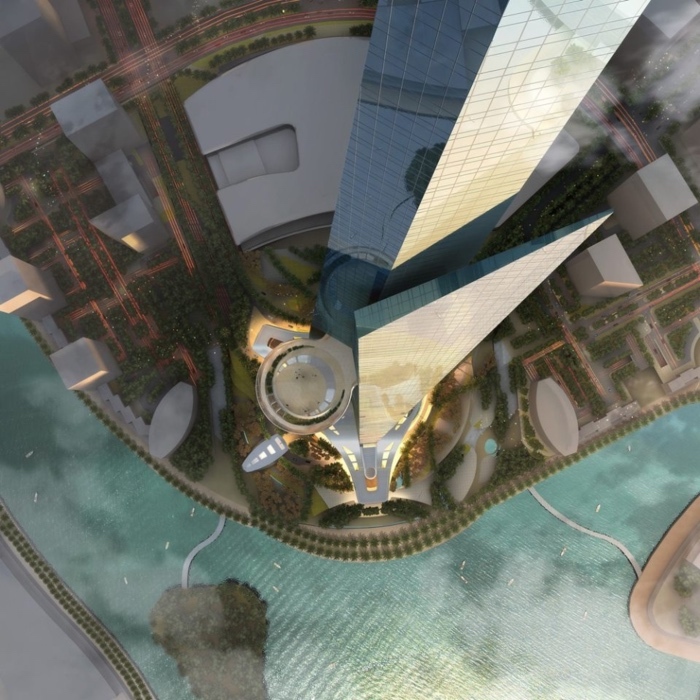 The Jeddah Tower complex will contain 59 elevators, including 54 single-deck and five double-deck elevators, along with 12 escalators. Elevators serving the observatory will travel at a rate of 10 meters per second in both directions. Another unique feature of the design is a sky terrace, roughly 30 meters (98 feet) in diameter, at level 157. The sky terrace will be open to the public and will be considered the world’s highest observatory when opened in 2020.